Navy and Coast Guard vessels getting underway from Naval Base Kitsap are protected from drone operations as they operate in the waters of Hood Canal and Strait of Juan de Fuca all the way from Bremerton to the Pacific Ocean. Drone pilots cannot operate their unmanned aircraft within 3,000 feet laterally and 1,00 vertically from Navy and Coast Guard vessels operating from Naval Base Kitsap. 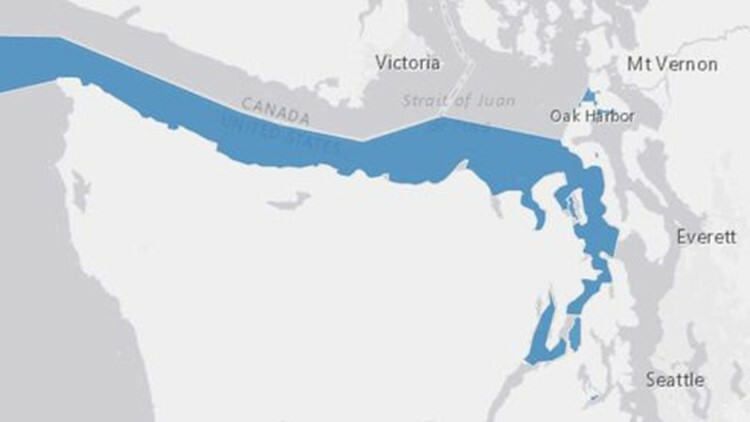 Vessels are protected within the areas shown in blue on this map.